Received a Stanford rejection and a Harvard waitlist. So my application cycle wraps up with 6 acceptances, 4 waitlist offers, 1 rejection, and 1 withdrawal before decision rendered. I never did hear back from Stanford or Harvard. Six months is apparently not enough time to make a decision. I faxed my acceptance to ***** today and withdrew from the other schools. It's a done deal. **** it is! Orientation starts 4 months from yesterday. Eek! How in the world will everything that needs done, get done? Timing is funny. 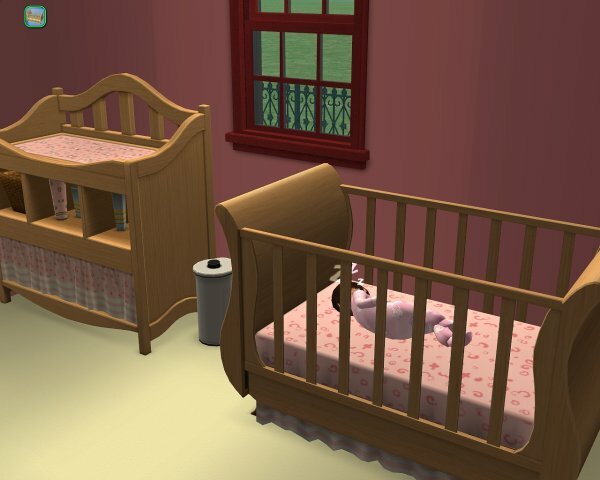 Someone else on MTS2 found the Bella Baby fabric and just submitted a nursery that has a high chair, regular bedding and potty chair as well as crib recolors. So if you'd like those recolors I have permission to put the link to her thread here on my site. I got an email today from Yale offering me a spot on the waitlist. Due to my circumstances (kids to move, husband to find a job and a scholarship at ***** I have to accept or decline by Tuesday) I won't be staying on any waitlists. Unless Stanford calls me over the weekend, I'll be faxing my ***** scholarship acceptance on Tuesday (and its a nice scholarship, about 85% of tuition). I've already faxed my family housing application and my husband has applied for a dozen jobs in the area since Monday. Hard to complain about that though. ***** is ranked ****** in the nation and I'm getting a hefty financial incentive in addition. Thanks to everyone who has emailed me good wishes during my law school application journey! If anyone ever has any questions about the process or wants advice on the LSAT or law school applications, don't hesitate to email me. "Effort. New - March 2008: Slapping a picture you found on some website onto a painting takes little to no effort. It can be good for a first project just to learn how to do painting recolours, but we will no longer be accepting random real-life photos, pics of celebrities, etc. - it takes very little effort to make these things and they simply do not fit the style of the game whatsoever. Try making your own artwork or a friend's artwork (with permission) into paintings, or take some pics in-game of sims in interesting poses, or try something like the SimRealism stuff - something that actually matches the game style. Simlish text instead of English is not required, but greatly preferred. 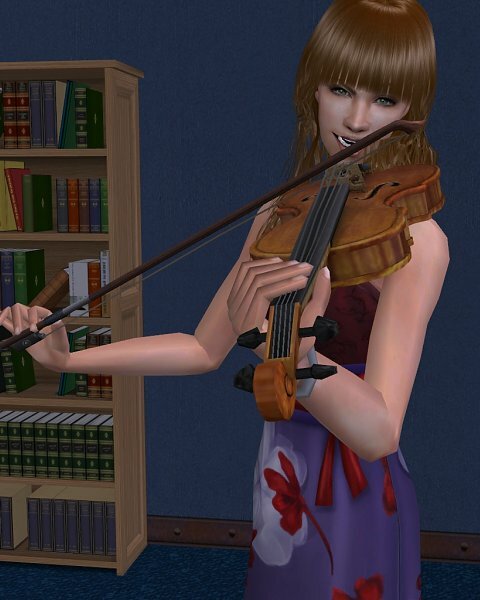 For examples of what we mean, see appelsapgodin's pinups, bunnylita's sim stars, bruno's simlish posters, DaisyTighfield's sim realism posters, or wycked's Lestat and Armand paintings." It's as if they didn't even look at my paintings. One, obviously not a celebrity poster or real life photo, two my paintings DO fit within the environment of the sims game. If what they mean is "no non-original paintings at all" then that's what they should say. Not to mention its not like I just did a couple quick paintings and uploaded them alone, they were uploaded within the context of my nursery, as part of a set. "What this forum is NOT for: * Advertising upcoming creations. Please only post here if you want feedback, not attention. * Asking moderators about creator guidelines or troubles in uploading. Please utilize the Creator Issues forum for inquiries of that type. * Asking moderators for more information on why an upload was rejected, or wanting clarification on what you need to change if you have gotten a Changes Required notice on an upload. Again, please utilize the Creator Issues forum for that. * Complaining about your upload being rejected. Please don't take rejections personally - read the reasons and attempt to improve. Even MTS2 moderators have had creations rejected sometimes. You may post here if you have been rejected, only if you are looking to improve your creation to MTS2 standards. If you are not wishing to improve your creation based on the feedback you're given, don't post here." Well, that doesn't sound like someplace to post my own criticisms of the Creator Guidelines or how they are enforced. And I'm not going to risk being "spanked" again for doing something inappropriate at MTS2. 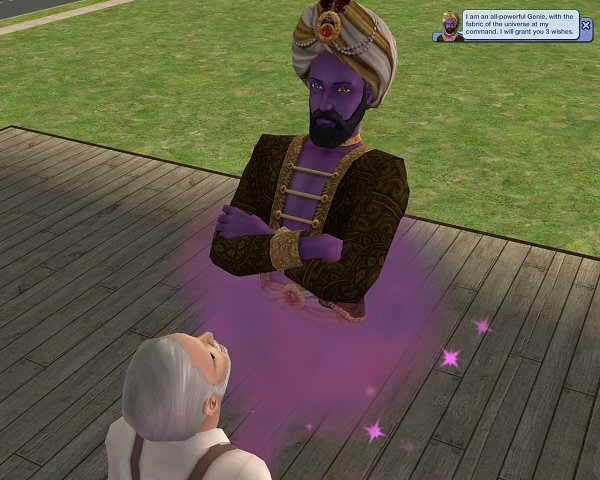 This kind of confusion and miscommunication at a declining Sims 2 website makes me very glad there are places like Simvention around. They are definitely on the up and coming list in my opinion. Their contests and comraderie are infectious :). I wish I had more time to spend socializing there. I checked my download stats and I'm so happy so many of you are enjoying the Bella Baby Nursery! I really had fun doing it. I got back from a 5 day trip to the ***** on Sunday. Visiting ***** was a trip. They had a surprise "secret" free concert on Friday and it was the Counting Crows. I was honestly a little overwhelmed by the whole "Californianess" of it all. However, the student parent panel might be the tipping point. ***** is incredibly supportive of student parents and obviously that's quite important to me. I also got notice that they matched my Virginia scholarship so now its simply where I'd rather go. I still have not heard from the big three, and at this point I'm losing hope that anything I hear will be positive. I'll be making my final decision soon, within the next few weeks, perhaps even sooner. Simvention is having another super fun contest, Custom Content Quickies. The assignment this month was to recolor the maxis Doublewide Tieback curtains. If you are interested, you still have a day to get your entry in. I started with the curtains and just kept on going and now you all have a new Room in a Box, two for one even! It's called Bella Baby Nursery and there's a blue and a pink version. I've got the pictures with downloads up. I still have to work on the "what's included" part. Click on the picture of the blue version to head to the download page. Sorry for the lack of updates. I have a new room in a box ready. It'll be up tonight or tomorrow. A nursery! As you might imagine, the end of the law school application season is taking up all my time (or at least obsessing over it is). My husband and I visited University of Virginia 2 weeks ago. They have coughed up a nice scholarship and cost of living in Charlottesville would be low compared to other Top 10 schools. Charlottesville is an adorable town (and the birthplace of the Dave Matthews Band) and I found everyone at the law school very congenial. Wednesday we leave to visit *****. We're also going to spend some time in the area rather than the quick trip we made to Virginia and do some touristy stuff in SF and take a daytrip drive down Hwy 1. ***** has not yet awarded their financial aid though I applied for their Matching Scholarship program. I was admitted and awarded a scholarship from University of Chicago but, bleh, I really don't want to live in Chicago. Like, ever. So that's probably out. I've not heard back definitively from the big three, Harvard, Yale and Stanford. Harvard is pretty much done with admits, so I'm sure that's a rejection or waitlist. I'm still holding out hope for Stanford or Yale though. I'll wrap it up and continue working on getting the newest Room in a Box uploaded! Here are some pics and observations of Freetime. Two Maxis Desiderata (new neighborhood) sims playing soccer. It's cute! The new crib and changing table mesh. LOVE IT! Can't wait until SimPE makes recoloring this possible. 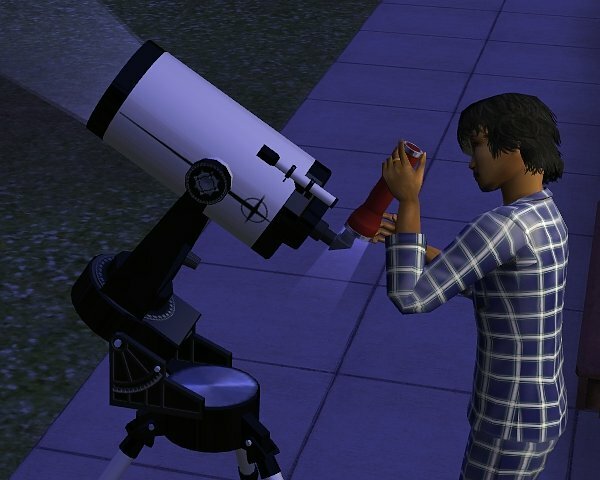 Another Desiderata sim "Summoning Aliens" with the telescope. 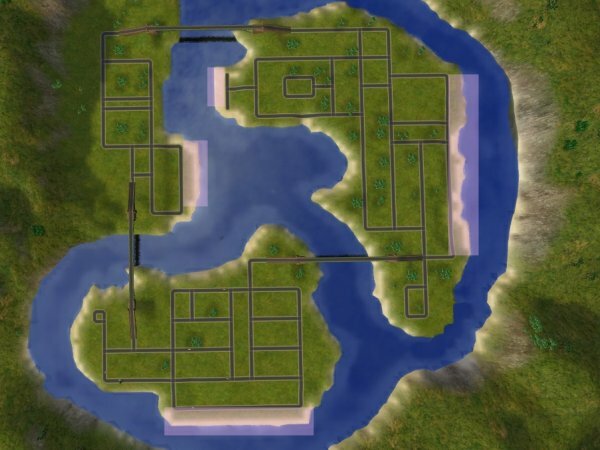 This is ridiculously easy for Knowledge sims. He was abducted the 2nd time he tried it.